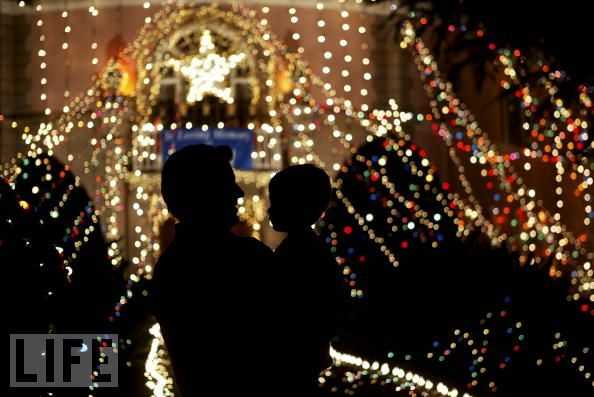 I had a special request from Karina on Facebook to write about Christmas light displays. I've taken my kids to the display at Griffith Park since they were born, but it's not up this year due to construction, so I had to dig a little deeper and this is what I came up with. TIP: Check out the light displays on a weekday when it's raining. Even a little rain will keep people home, less crowds = better viewing! I found an advertisement in the Los Angeles Times about the Americana at Brand shopping center. There are a few boat parades this weekend and next week. I found the following information from the November/December issue of AAA magazine. Since the kids are off of school next week you can spend some time at an amusement park. All the theme parks have holiday events or decorations set up. Disneyland has it's a Small World set up with lights and a light show (every 15 minutes? ), a decorated castle, and snowfall with Christmas fireworks Main Street. Legoland has fireworks, displays, and a special New Years Eve party. 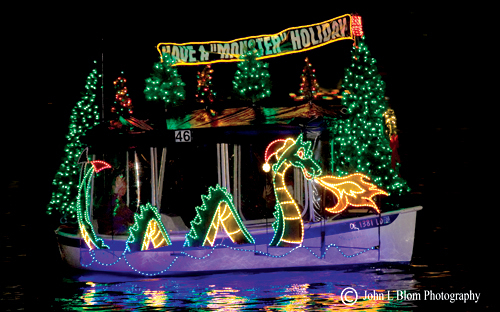 Sea World has daily holiday themed shows from December 18-31. Click here to read a previous article about an annual pass for $60. Universal Studios set up Whoville complete with snow from December 18-January 2. Knott's "Merry" Farm has the free admission with the Toys for Tots promotion through December 19 and has their annual Christmas craft fair set up in the park.